Happy Ganesh Chaturthi गणेश चतुर्थी मुबारक हो - I have Posted various Lord Gansesha Status Quotes Wishes SMS in Hindi and English for Bhagwan Ganpati Gajanan, I hope you'll like them and share with your friends on Whatsapp and Facebook(FB). गणपती बाप्पा मोरया, मंगल मुर्ती मोरया !!! 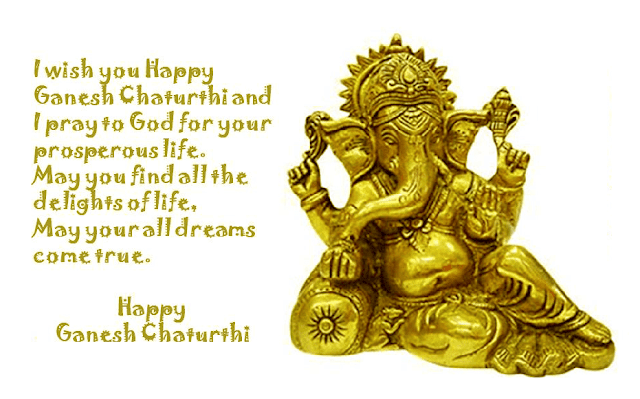 May the blessings of Lord Ganesh be always upon you. 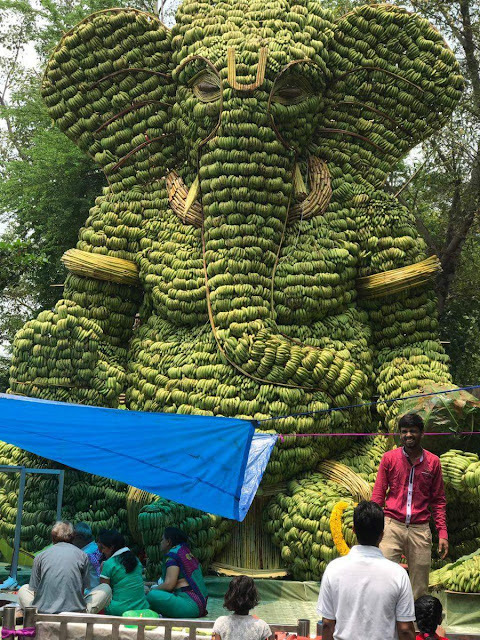 Ganesh ki jyoti se noor milta hai, sabke dilon ko surur milta hai, jobhi jaata hai Ganesh ke dwaar, kuch na kuch zarror milta hai. 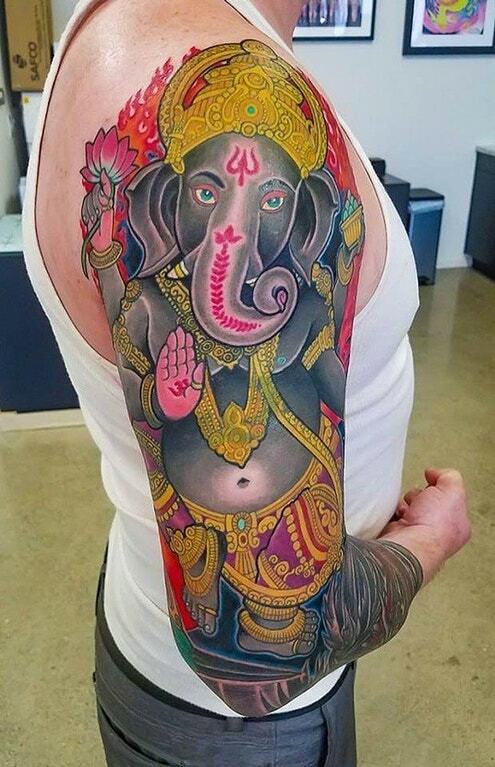 JAI GANESH! This Ganesh Chaturthi Spread the message of honesty and love through this world when Lord Ganesha ascended on this earth to kill evil. 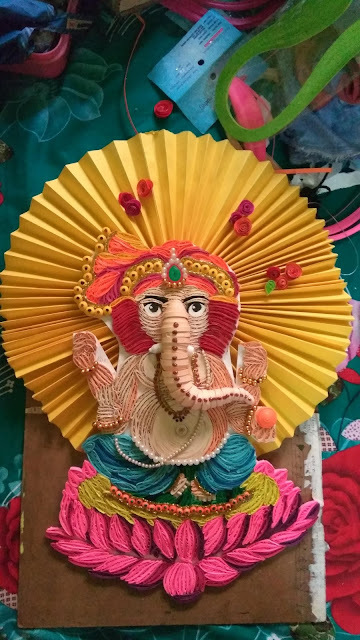 Ek Do Teen Char.. Ganapathi Ki Jay Jay Kaar Paanch Chai Saat Aaath.. Ganapati Hai Sabke saath Happy Ganesh Chaturthi..
Aapka sukh gabesh ke peth jitna bda ho,Aapka dukh undar jesa chota ho, Aapki life ganeshji ke sund jitni badi ho, Aapke bol modak jaise mithe ho BOLO GANPATI BAPPA MORAIYAA!!! Aisa Devo Dev ko Pranaam..
Aate bade dhoom se ganpati ji, jaate bade dhoom se ganpati ji, aakhir sabse pahale aakar,hamare dilon me bas jate ganpati ji. Happy Ganesh Chaturthi!!! Wishing you all the health, happiness and Lord Ganesha's blessings on the auspicious occasion of "Ganesh Chathruti". Enjoy the festival. May Lord Ganapathi shower you with success in all your endeavors? Happy Ganesh Chaturthi. आते बड़े धूम से गणपति जी, जाते बड़े धूम से गणपति जी, आखिर सबसे पहले आकर,हमारे दिलों में बस जाते गणपति जी. हैप्पी गणेश चतुर्थी!!! 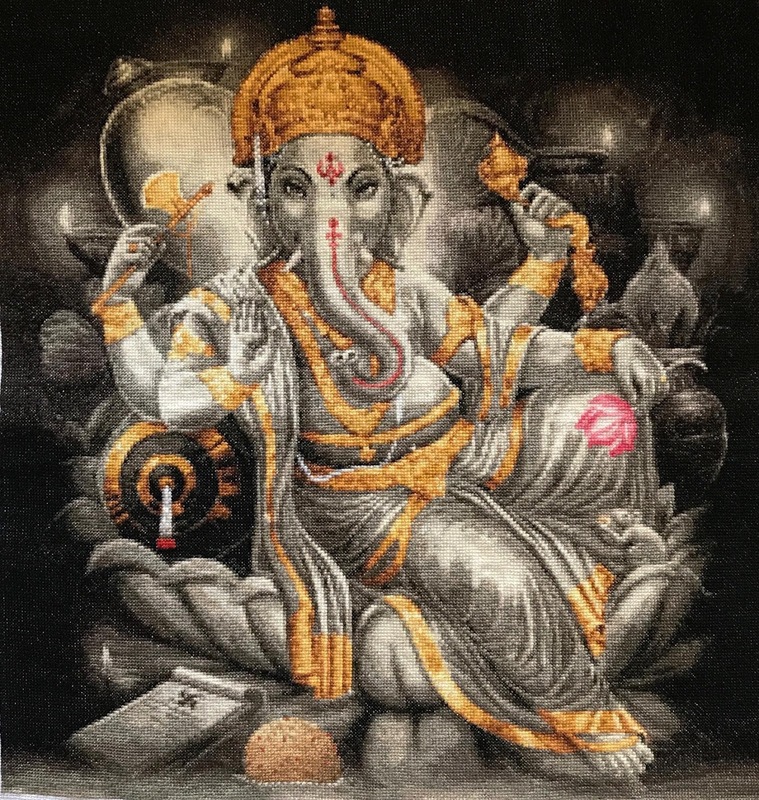 Rakho Mann Mein Shradha aur Karo aaj Dhoom Dham se Pooja, Kyuki Aaj Bappa Kuch Dekar hi Jayenge…..
Lord Ganesha is our Teacher and Guider, May He Shower your life by Giving New Direction to ur Life Missions, by removing all the Hurdles from your life..! 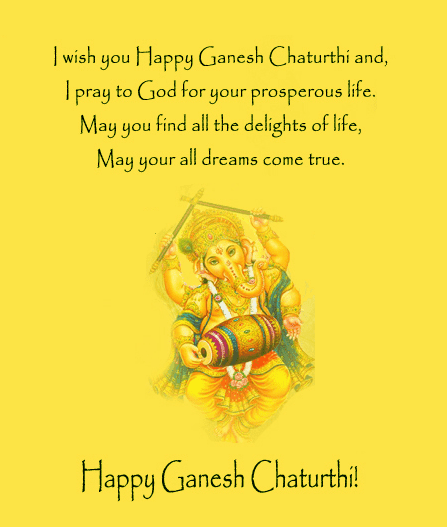 May GANAPATHI shower you with succss in all that you do Happy Ganesh chaturthi. May Lord Ganesha shower abundant good luck on you and may he always bestow you with his blessings... Happy Ganesh Chaturthi! May Lord Ganesh Bless You With His Favourite ‘Mithais’ To Uplift Your Body And Soul At All Times.